Recently, while wasting a lot of time on Pinterest, I came across this great pin. This awesome idea came from a lovely blog, Oh So Pretty The Diaries. I decided it looked super easy and I would give it a try. I wanted to go for a white, gray and pink combo. So I started off with a couple coats of white, OPI Alpine Snow. 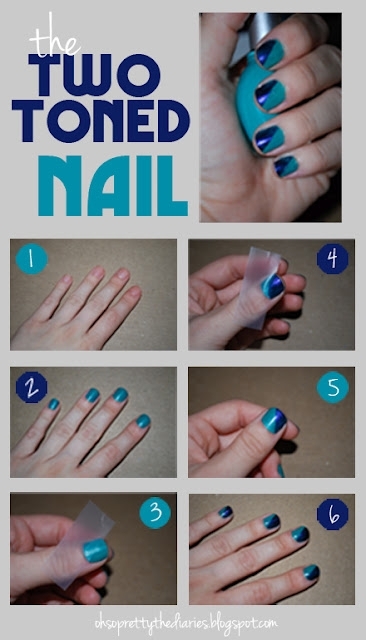 A few hours later after it was completely dry, I put small sections of tape over my nails. But then I realized I wanted the color on the other side of my nail so I slowly pulled up the tape and moved it. Notice that small section at the bottom of my nail where the polish came off. I now became slightly nervous. I then painted the exposed portion of my nail bed gray. This was also an OPI color, French Quarter For Your Thoughts. I decided to be trendy and paint my ring finger a different color. This lovely pink is a ZOYA polish, unsure of the exact color name. Next I let the polish dry. Now it was time to remove the tape. I peeled the tape very, very slowly. This was the result. Only my poor little pinky finger turned out. I have no idea what happened. I don't know if the tape I was using was too strong, if the white polish had too little/too many coats, or if I'm just bad at this sort of thing. I will try it again using different tape, maybe even painters tape. I'll let you know how the second round goes. Right now - I can not recommend this project to you. What a bummer - I really thought this is something I could do. 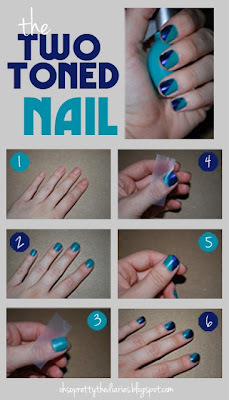 I'll just have to wait for another nail trick on Pinterest to pique my interest. I like how you always opt for the claw and not the fan. You need to find the right tape, that is the problem. I have done way too much peeling of tape of paint to know the proper tape is the key. Masking tape from the dollar store is the best cause it is so cheap and will cover and not stick too much. Or pro painting tape. You got a lot of talk from me for a post about painting nails. I think I'm going to special order tape just for these occasions. I LOVE TBD! I'll definitely give it a try!